Yesterday, FuzziBunz®, the inventors of the modern cloth diaper, announced the addition of two cloth diaper prints, “Strawberry Delight” and “Whimsical Whale”, to its line of award-winning, popular cloth diapers. 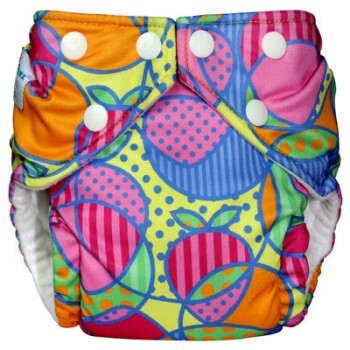 Both limited edition diaper prints were designed by Strawberry Fields Design and have been receiving overwhelming positive feedback, including many retailers selling out of their product. This cloth diaper print design will bring a delightful squeal to any baby and his or her doting mom or dad. 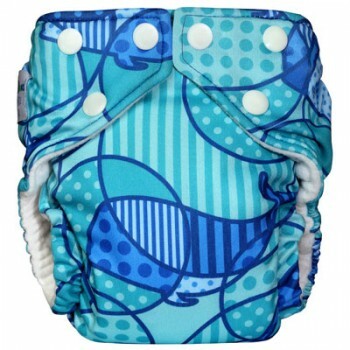 Whimsical whales adorn this blue and aqua green reusable cloth diaper also available in One Size Elite and Perfect Size options. FuzziBunz® partners with Strawberry Fields Design for its print/graphic design and web design needs, including tradeshow displays, brochures, packaging, print collateral, marketing materials, and website graphics for their retailers. Known as the “gold standard in cloth diapering,” the patented FuzziBunz® cloth diapers are a modern, convenient and sustainable diapering solution for today’s busy parents. The reusable pocket cloth diapers ensure no leaks, no rash and no waste.